When I was a little girl my family and I did game night on the weekend. It was fun. My dad usually won playing Monopoly. 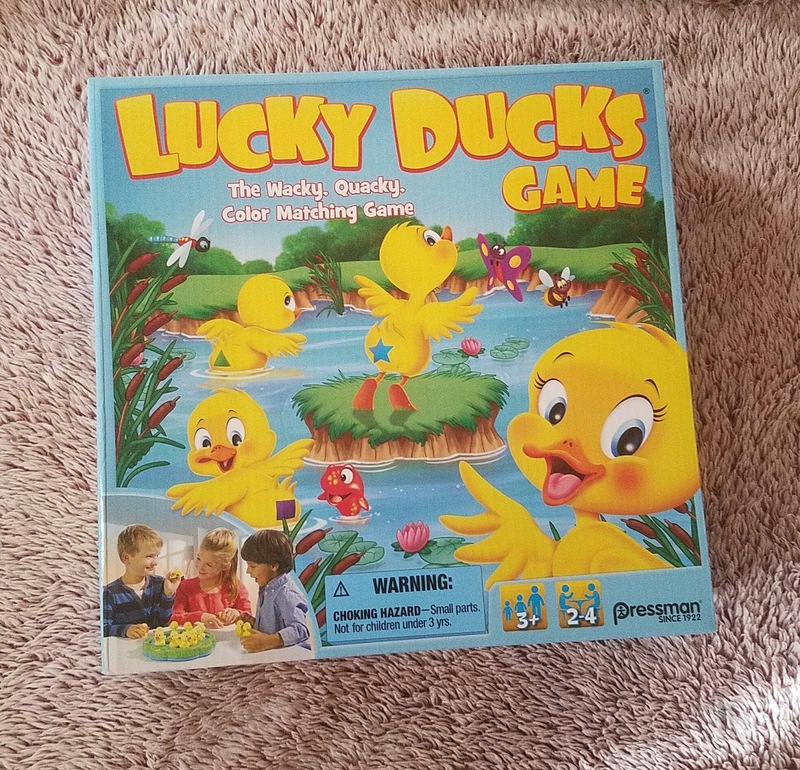 I think board games are a great way to bring the family together no matter what age we are. My 3 kids are at different game stages. 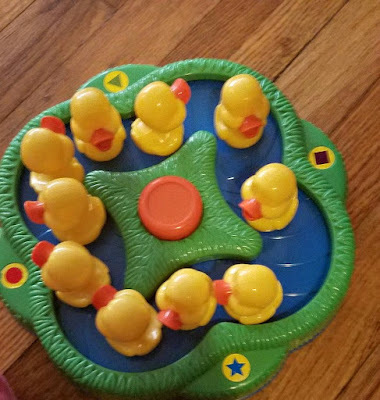 My youngest is a toddler almost ready to play Lucky Ducks Game. My 5 year old who will be turning 6 very soon loves this game too. Each duck has a symbol on the bottom. You need to find your symbol. It is helpful for kids learning shapes and colors. 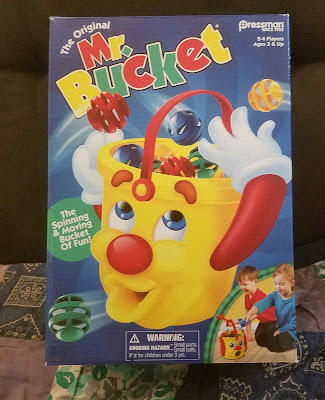 Mr. Bucket was a great game for my girls also. He moves around and the balls pop out. You need to put your color balls inside. It is a really cute game. 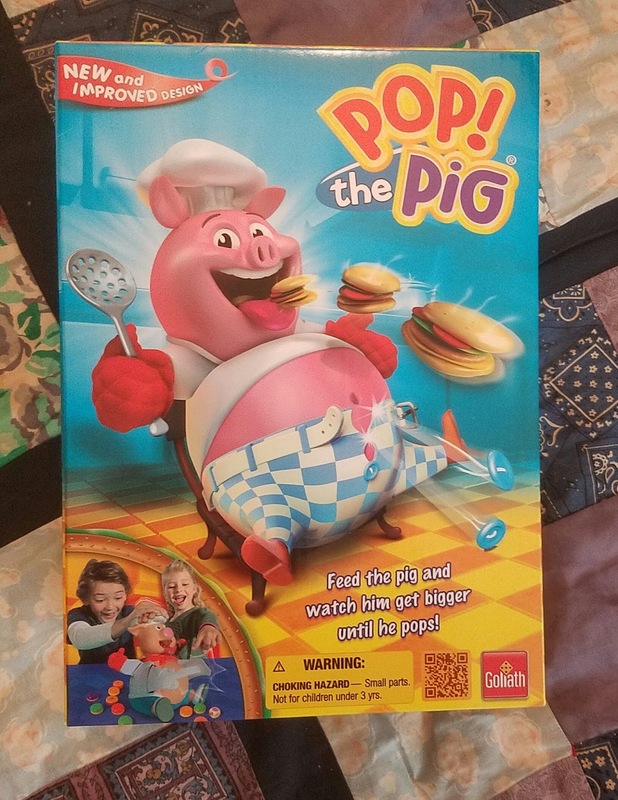 Out of every game they tried all 3 of the kids loved Pop the Pig. I think this is a super fun game that everyone can enjoy. It is such a clever concept. Feed the pig. Watch his belly grow. Even my son who is 9 loved this game. This is also good with teaching numbers. There is a number on the bottom of the burgers. This number tells you how many times you need to press on the pigs head. I'm not going to lie, we are a tech family that loves video games. I think it is important to step back from the technology and play board games. There are so many amazing games out there. Set a night each week to play with your family. Goliath Games has a large variety of fun games to play with family and friends. 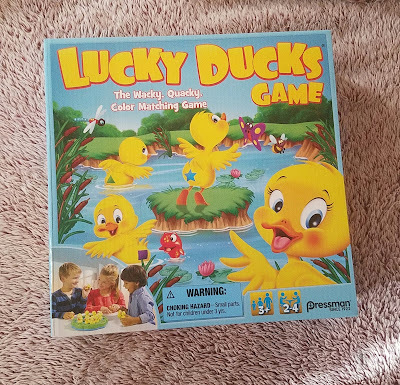 Do you play board games with your family? What do you like to play?